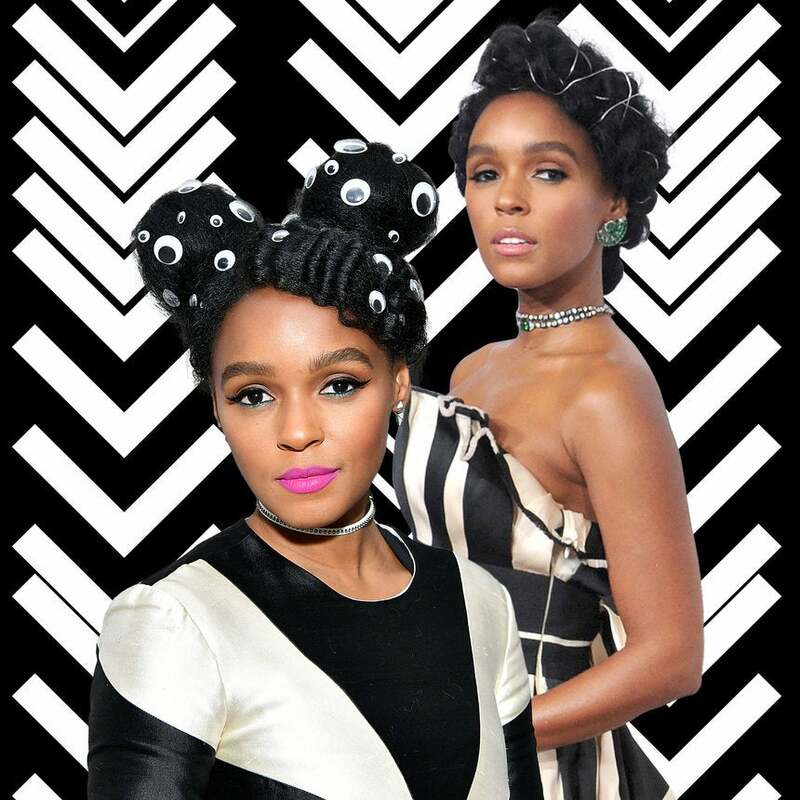 These accessories are pretty gutsy, and if anyone can pull it off, it's Monáe. 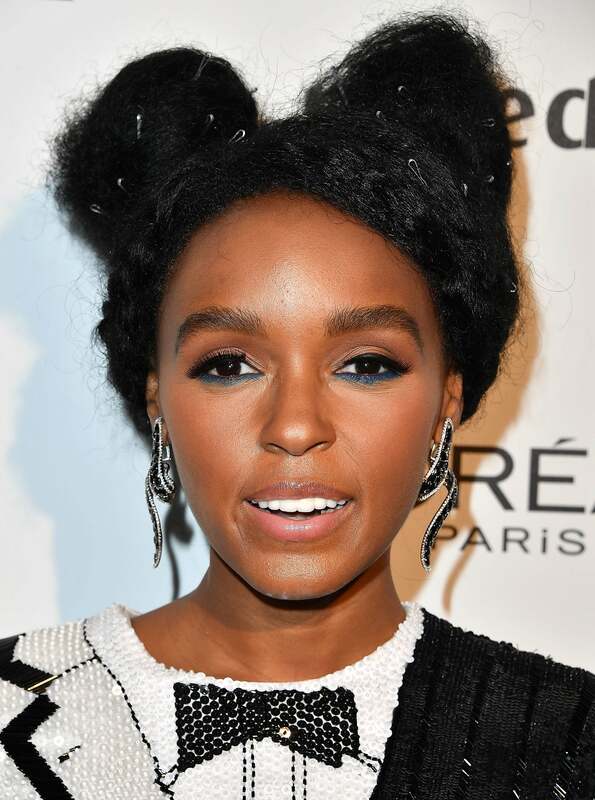 Besides her many nominations alongside the cast of Hidden Figures, Janelle Monáe is also getting nods for having the coolest hairstyles to ever grace the red carpet. 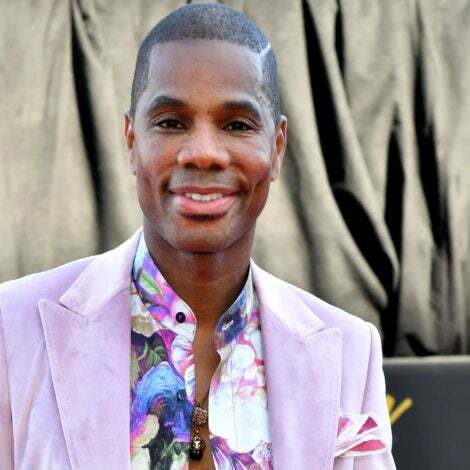 This past weekend, the singer turned actress hit the SAG Awards in a beautiful updo, adorned with tiny flower jewels. As of late, the hair chameleon has been rocking lots of unconventional accessories like googly eyed craft stickers and gold wire. 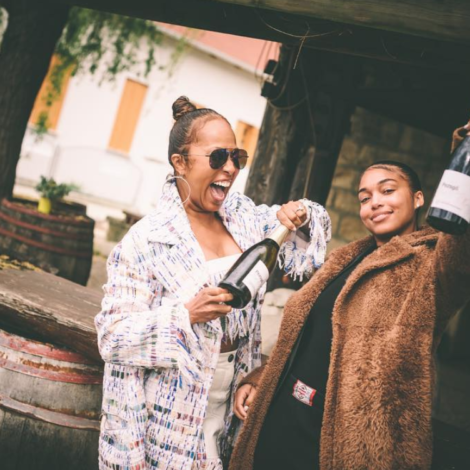 Her creative coifs are accredited to longtime hairstylist, Nikki Nelms, the self-proclaimed hair MacGyver who is also responsible for Solange Knowles beaded braid look in her “Don’t Touch My Hair” music video. 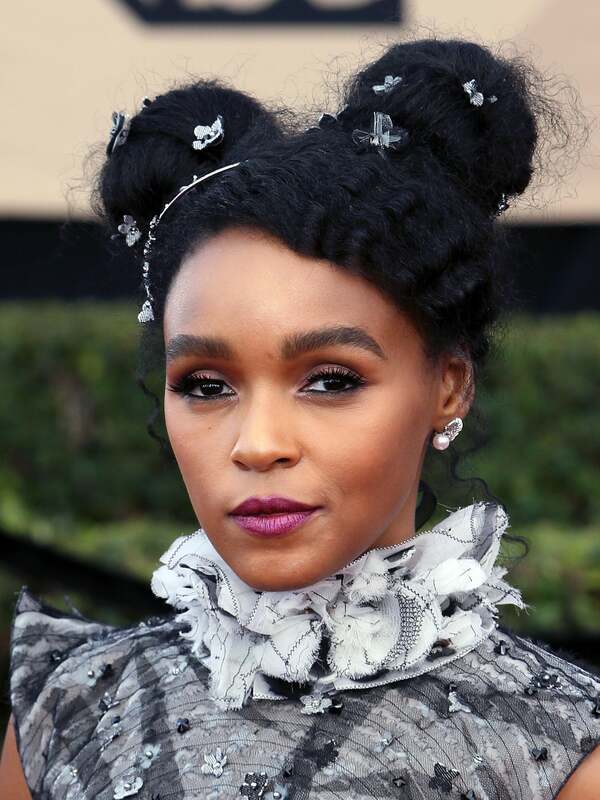 Nelms told Cosmopolitan.com that she often frequents Michael’s Arts and Crafts store and “loves finding more than one purpose for things,” which explains that time Monáe artfully rocked safety pins in her hair on the red carpet. 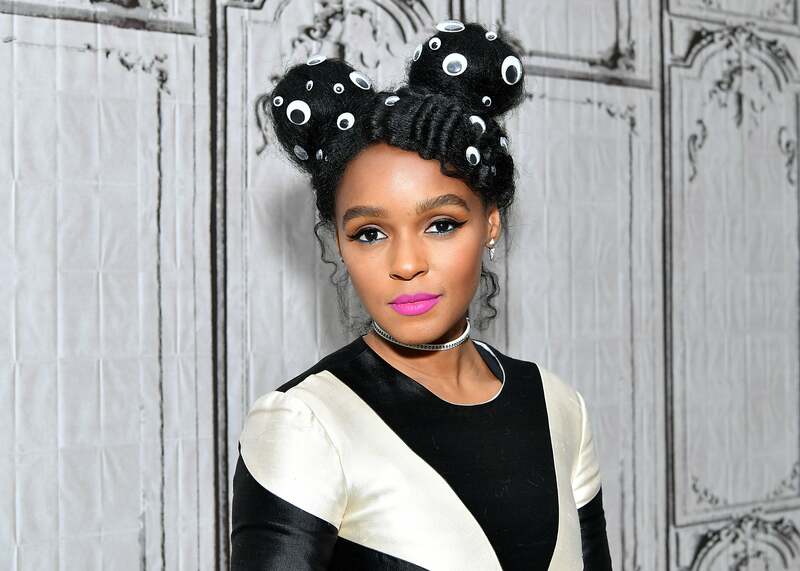 These accessories are pretty gutsy, and if anyone can pull it off, it’s Monáe. See a roundup of her standout looks below. This past weekend, she attended the SAG Awards rocking a beautiful updo adorned in tiny flower jewels. 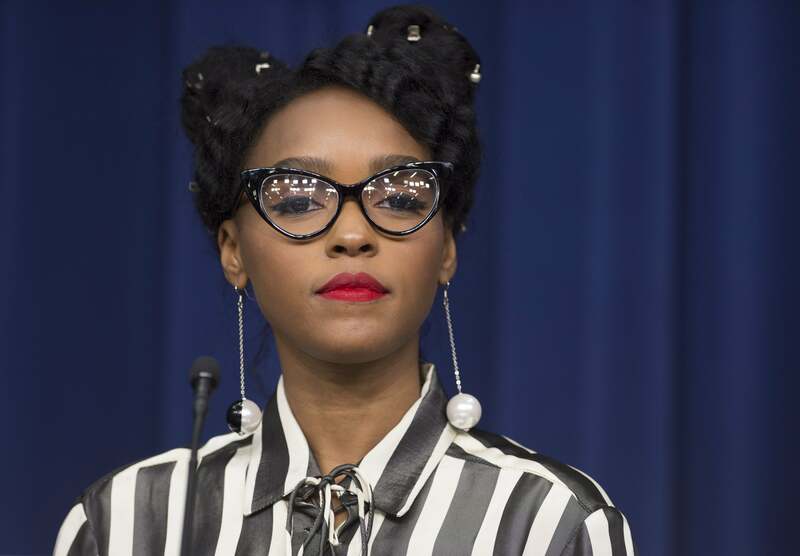 She wore googly eye craft stickers in her hair for press rounds of Hidden Figures in December 2016. 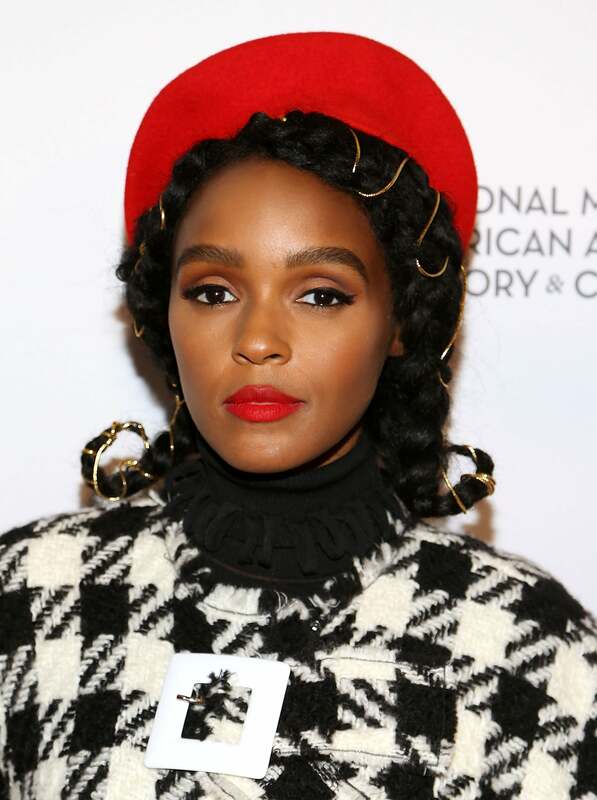 Janelle arrived at the D.C. screening of Hidden Figures with wire intertwined in her shoulder length braids. 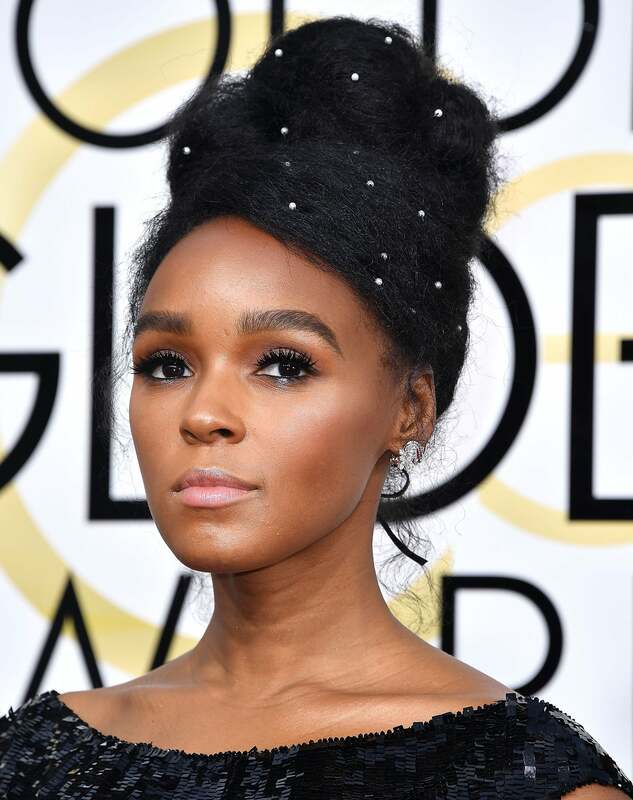 Janelle accessorized with pearls for the 2017 Golden Globe Awards. 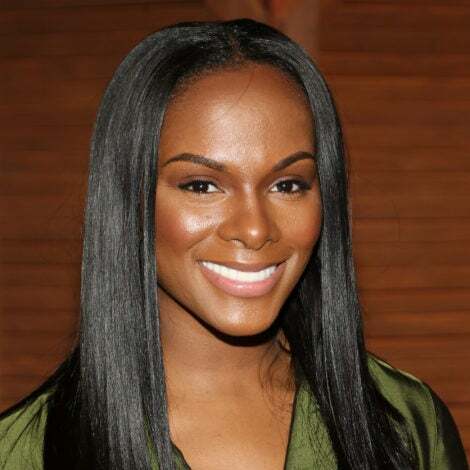 Janelle wore small duck bill clips in her hair for a discussion about Hidden Figures at the White House in December 2016. 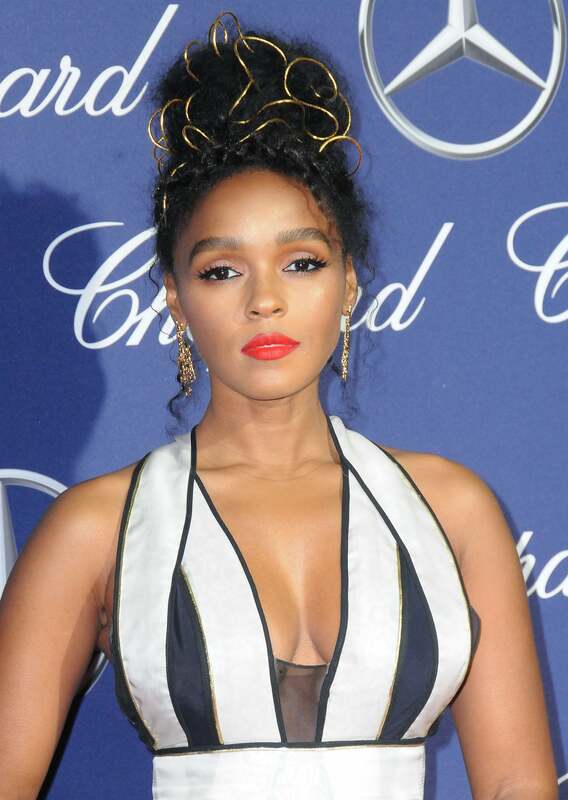 Janelle decorated her hair with bobby pins for Marie Claire’s Image Maker Awards in January 2016. Janelle worked gold wire into her updo for the 28th Palm Springs International Film Festival Awards Gala. 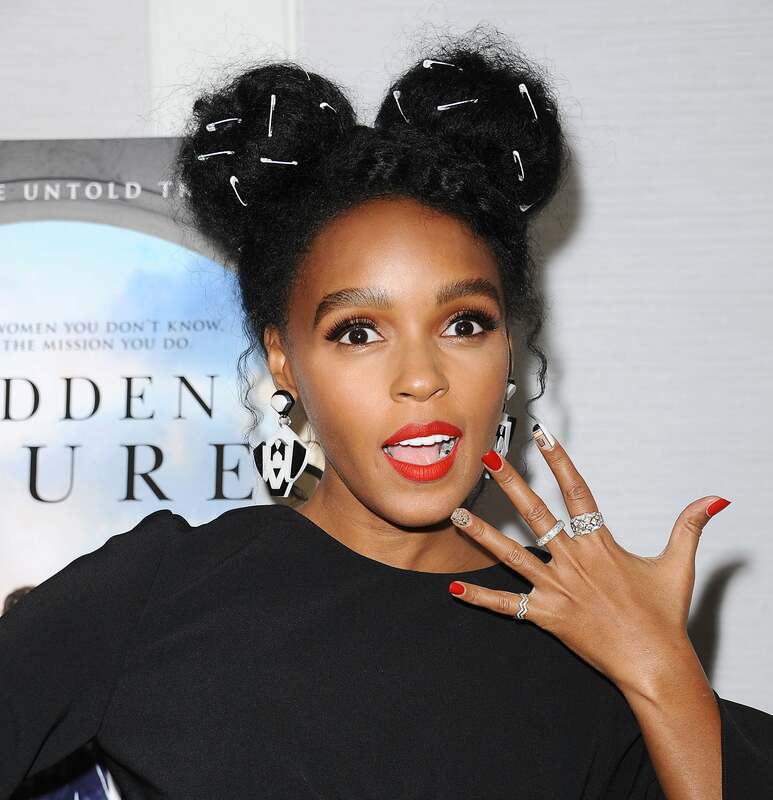 Janelle arrived to the 2017 Producers Guild Award wearing silver string intertwined through her updo.